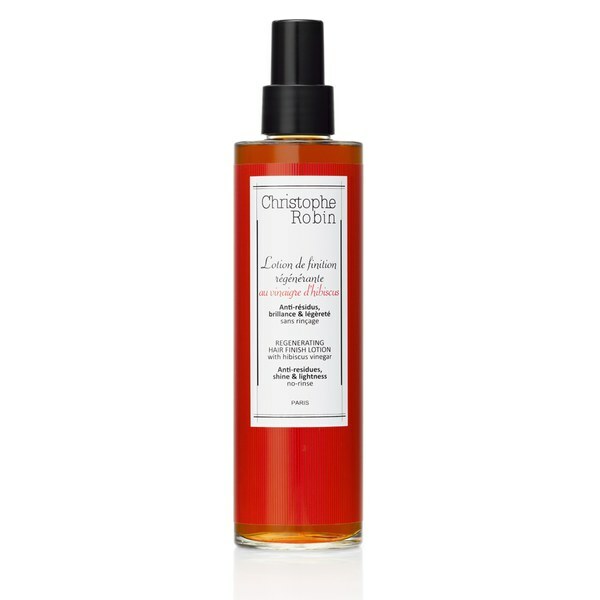 Experience a cleanse like no other with Christophe Robin Regenerating Finishing Lotion with Hibiscus Vinegar, a leave-in treatment enriched with beneficial vinegar and a subtle scent. 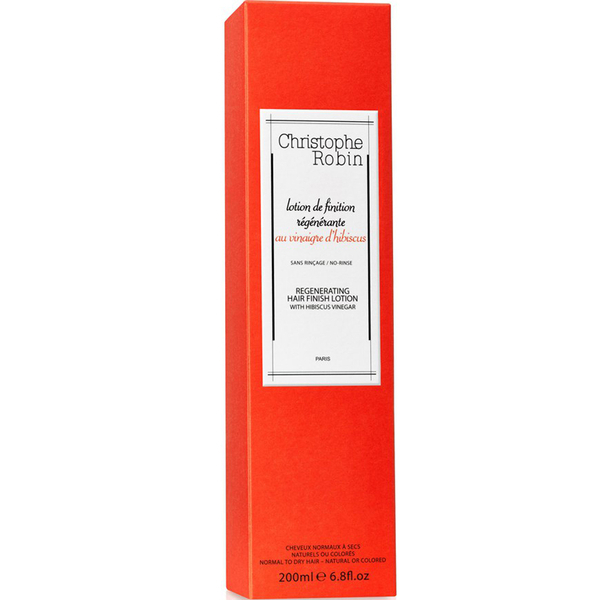 With antioxidant and soothing properties, the light yet stimulating formula works to rid the hair and scalp of impurities and product build up whilst delivering antibacterial goodness. 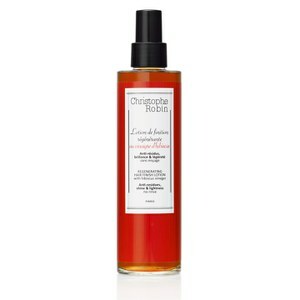 Delicately perfumed, the lotion will leave your hair looking and feeling healthy and regenerated with greater manageability and shine. Can also be massaged into skin for a gentle fragrance. - K.N. Aqua (Water), Alcohol Denat., Acetum (Vinegar), Glycerin, Ppg-26-Buteth-26, Peg-40 Hydrogenated Castor Oil, Parfum (Fragrance), Hibiscus Sabdariffa Flower Extract, Citric Acid, Sodium Benzoate, Potassium Sorbate, Phenoxyethanol, Geraniol, Linalool, Limonene, Hydroxycitronellal, Coumarin, Amyl Cinnamal, Citronellol, Benzyl Salicylate, Hydroxyisohexyl 3-Cyclohexene Carboxaldehyde, Citral.